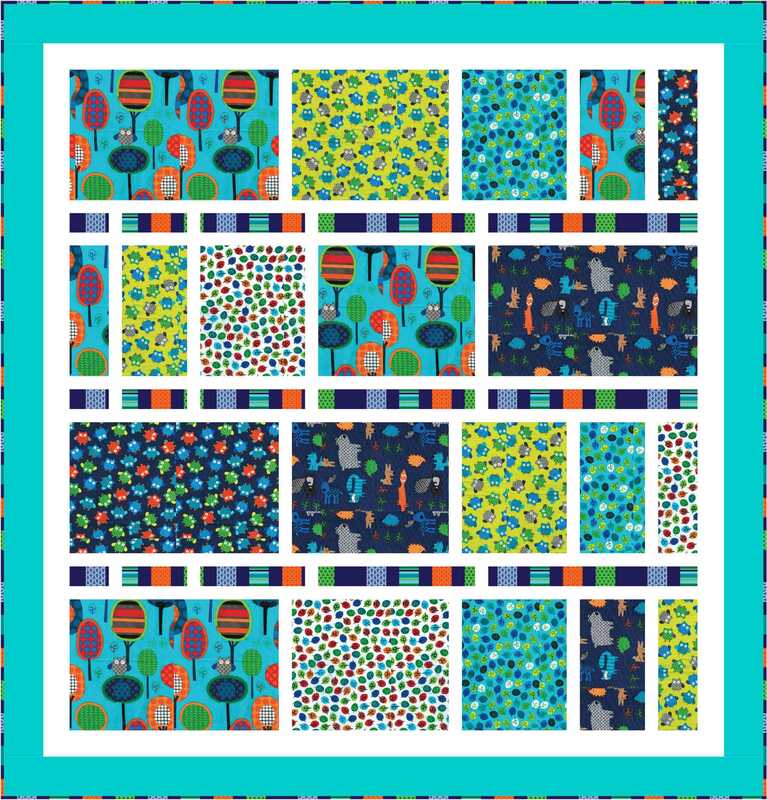 My McCall’s Designs, YOUR Quilts! Happy Monday, Dear Friends. I hope you had a good weekend, and your week has gotten off a good start! I am certainly enjoying the sun and slightly warmer weather where we are. 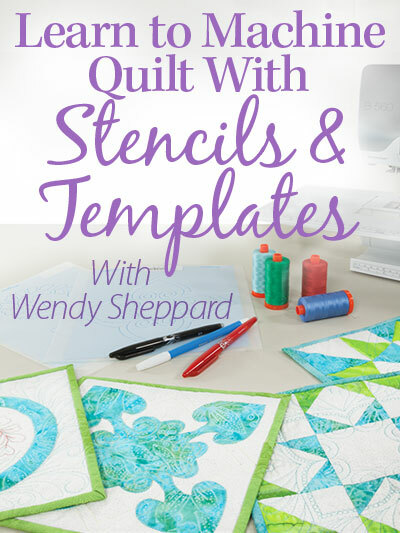 I am always happy to see quilts made with my designs. 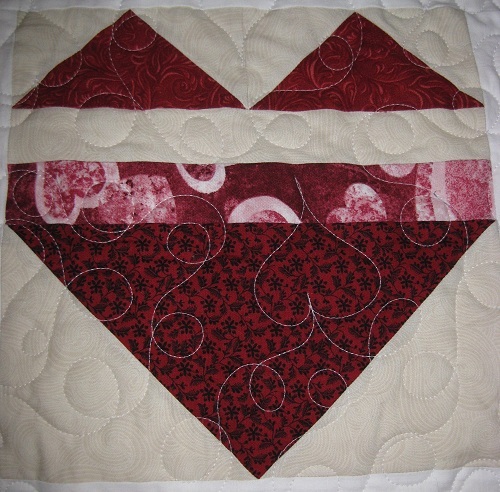 Diana from Georgia made my Making Valentines quilt for her cousin. 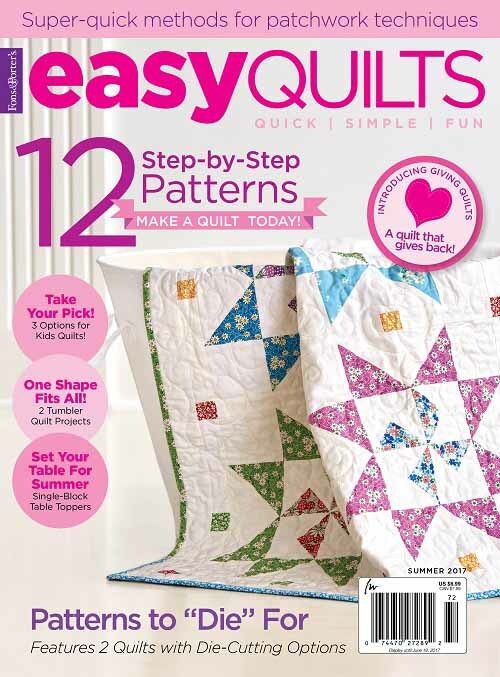 Diana calls her quilt Heart to Heart — I love that name!!! I love seeing the pink and red accents in Diana’s Heart to Heart. 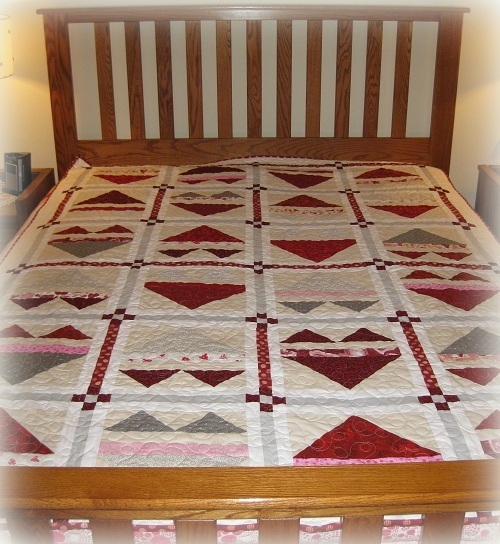 Diana’s quilt is quilted by Carrie Rebeiz. 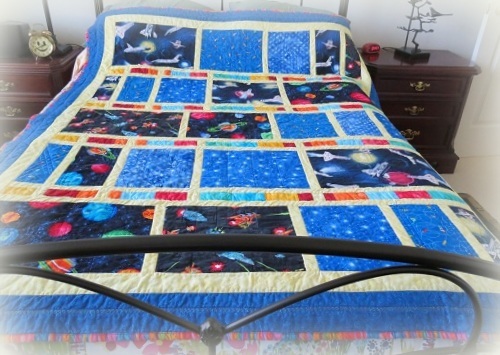 Marty from California made a space themed quilt for a little boy name Shepard. I feel so honored because my last name is Sheppard! Marty adapted the quilt to fit Shep’s double bed. 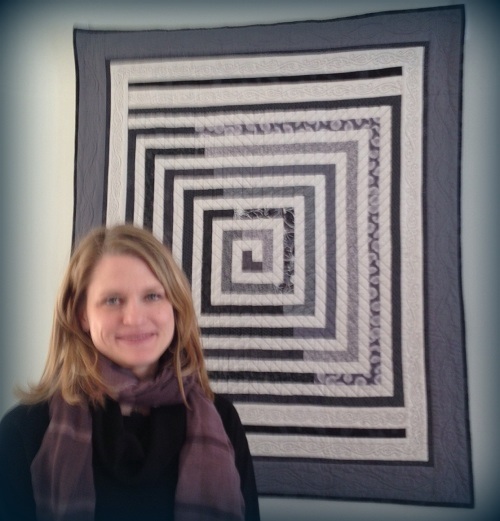 Kathy from Wisconsin made Spiral Squared in all grays for her daughter-in-law Carrie to hang above Carrie’s fireplace. You know how I love gray!!! 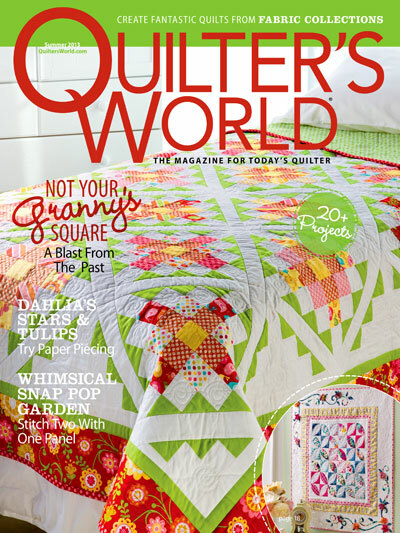 Thank you, ladies, for being willing to share the quilts you make using my designs. 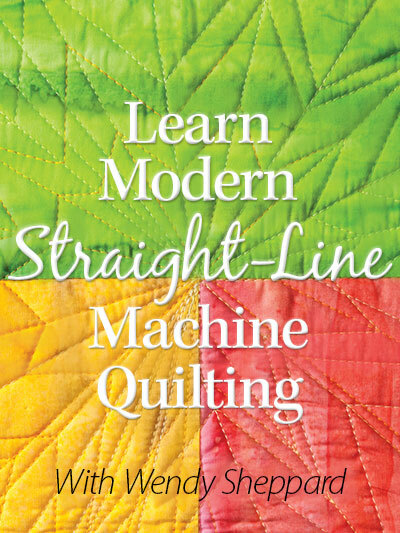 And a BIG thank you to the editorial team at McCall’s Quilting for the opportunities to contribute – it’s been an absolutely joy for me to work with the wonderful people at McCall’s! 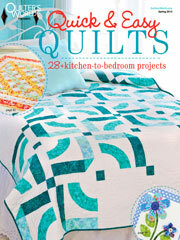 Click here, and here to see quilts made with my designs featured in McCall’s Quilting. 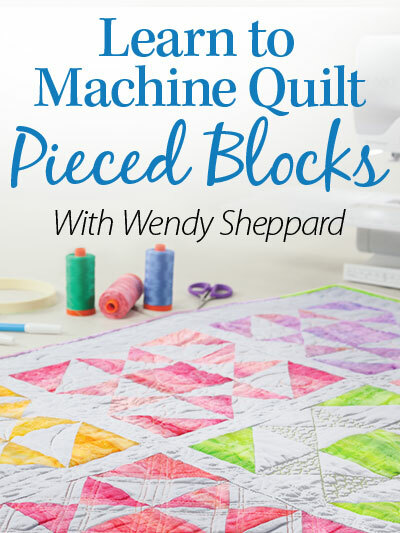 This entry was posted in Quilting, Quilts & Projects: Published, Quilts: Pieced, Readers' Projects and tagged McCall's Quilting, Wendy Sheppard Designs. Bookmark the permalink. Sunny and warm in my neck of the woods also. Seems as though, “Spring has sprung.” Even did a bit if gardening yesterday afternoon. 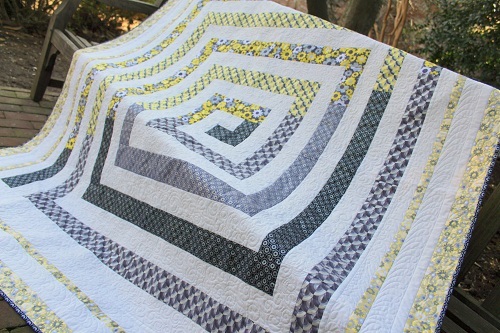 Always fun to see another’s interpretation of the original quilt. They are beautiful as well as creative. Great way to begin the week!! 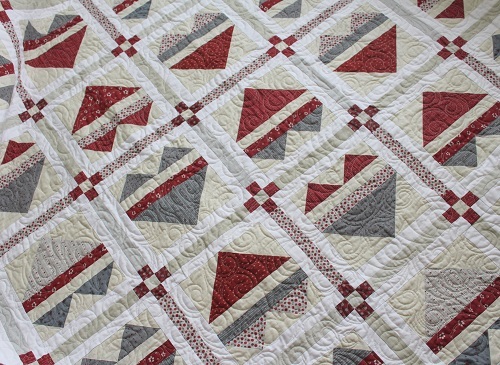 So neat to see how different people “interpret” quilt patterns and make the finished product their own.